Join my Julie's Biscuits Gift Pack GIVEAWAY now! 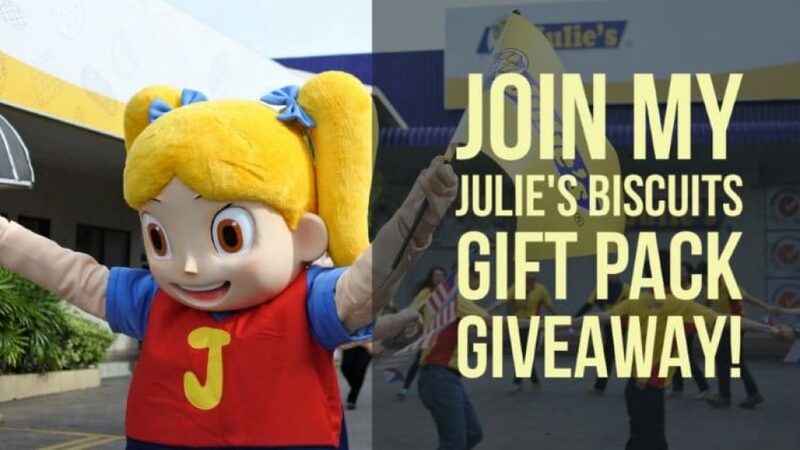 Join my Julie’s Biscuits Gift Pack GIVEAWAY now! Ready to join my Julie’s Biscuits Gift Pack giveaway? Of course, you are! I’ll be picking three (3) lucky winners who will be receiving cool gift packs courtesy of our wonderful friends from Julie’s Biscuits. It’s very easy to join! Simply follow the instructions on the widget below. Julie’s Biscuits Gift Pack Giveaway! Thank you for joining and GOOD LUCK TO EVERYONE! I will be announcing the winners of my Julie’s Biscuits raffle draw here on my blog. I will be tweeting the names of the winners as well so be sure to follow me on Twitter (@chuckiedreyfus). Please wait for Nuffnang Philippines & Julie’s Biscuits to contact you via email on how you may claim your prize! Thank you to everyone who joined my Julie’s Biccuits giveaway! Make sure to SUBSCRIBE to my blog to always be updated on new posts and more awesome giveaways in the future! Know more about Julie’s Biscuits and my fun tour around their factory during my visit to Malacca, Malaysia, click here.